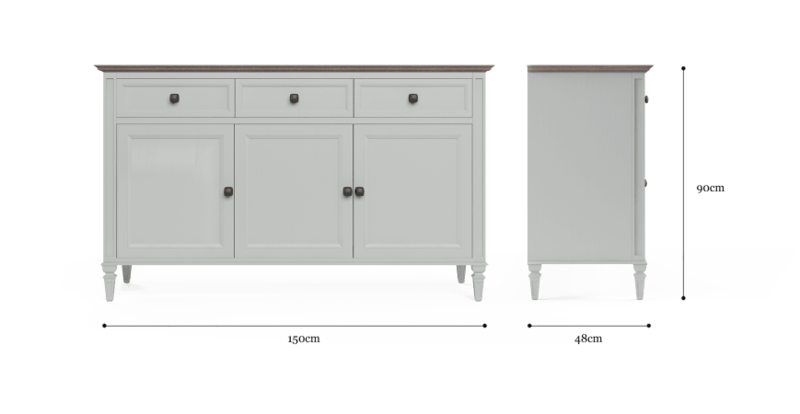 The Enzo Sideboard is a versatile beauty that adds functionality and a French Provincial touch to a space. The piece is the perfect way to hold items in your kitchen or living area. 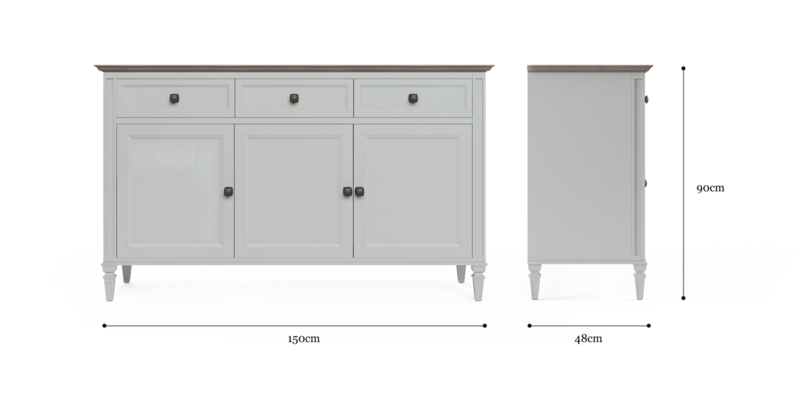 The Enzo Sideboard has a solid construction that will support all you need to hold and be looking great in your home for years to come. 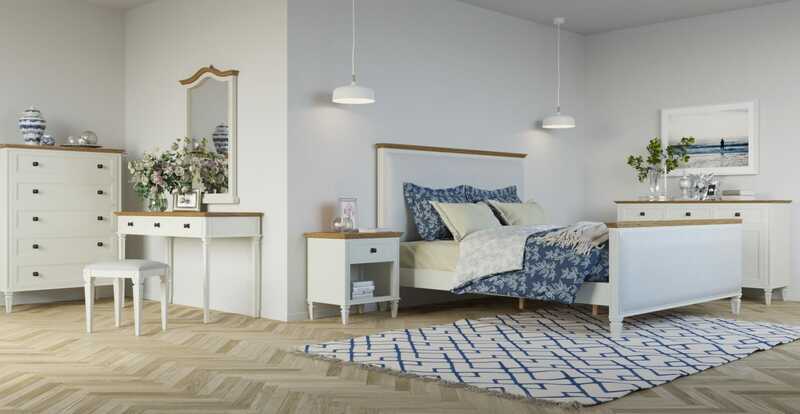 See the rest of the Enzo Collection, which includes a matching range of storage and table pieces. 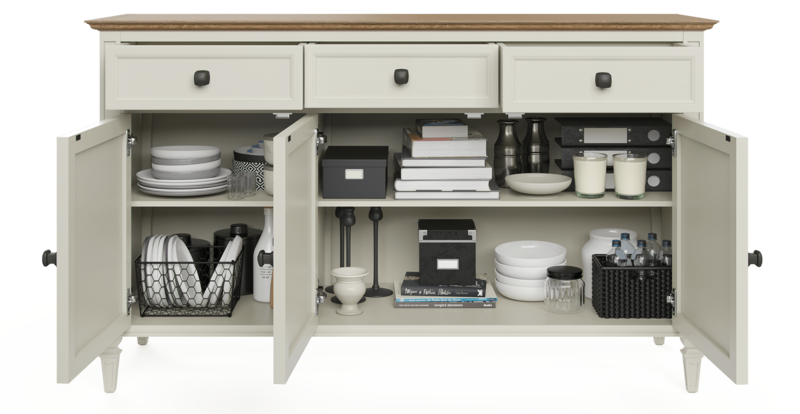 You'll never run out of storage with the Enzo, which offers three spacious drawers and three lower cabinet spaces. 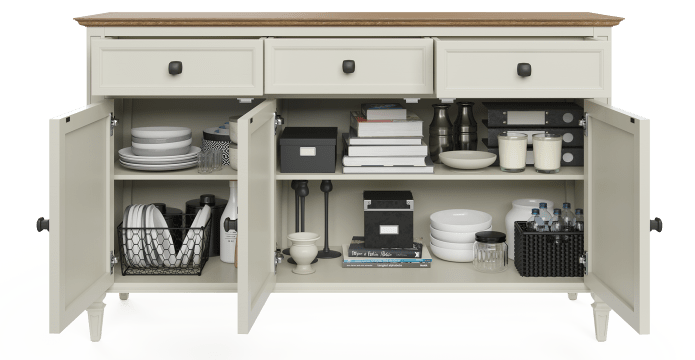 Keep your home clutter free while making a style statement! 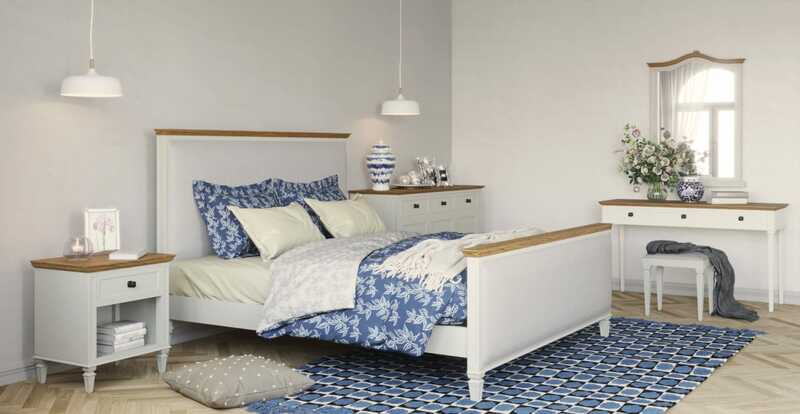 See more storage pieces on offer from Brosa. A distressed grey or brushed white finish from a combination of lacquer, wax and varnish enhances the style, while protecting the piece against everyday use.